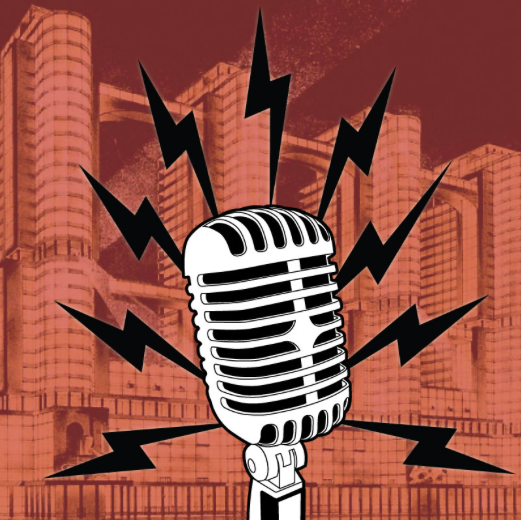 FRINGE REVIEW: Radio Gomorrah Live! I’m not much for science fiction. I also never really enjoy radio dramas as plays. And I really don’t find gross-out humor appealing. So, RADIO GOMORROAH LIVE! presented by the Burying Beetles isn’t the show for me. That said, it does feature some of my favorite actors in town. Derek Snow, Daniel Britt, Keisha Kemper, and Don Volpenhein are joined by a cast of what felt like dozens – including the audience as “Foley artists” for this spacey romp through the galaxy. It’s not going to be everyone’s cup of tea. The sweltering heat inside of Nast Community Church didn’t help; neither did the poor acoustics in the space. There’s a whole lot happening in the course of this hour including an abundance of expletives, over-the-top bawdy humor, and home-made costumes. But I suppose that’s the fun of it. It’s Fringe, after all! RADIO GOMORRAH LIVE! written by John Ray and co-directed by Michael Burnham and Paul Morris continues Sat, May 30 @ 6:30PM, Wed, June 3 @ 9:00PM, and Fri, June 5 @ 9:10PM at Nast Community Church. Click here for more information.